LO ANGELES, CA – Crowds gathered outside of the Los Angeles Supreme store earlier this afternoon in anticipation for the skateboarding and streetwear brand’s latest release in collaboration with anime series Miss Kobayashi’s Dragon Maid. 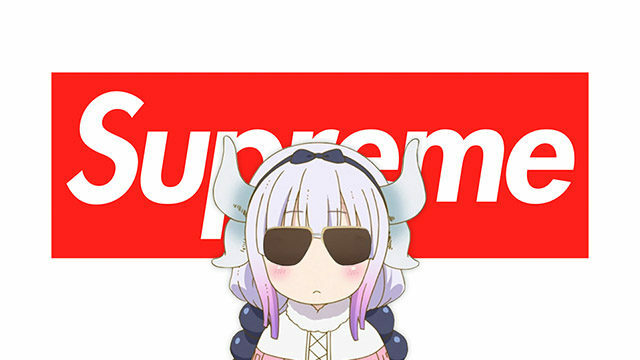 The collaboration features a limited run of various clothing and accessories incorporating Dragon Maid characters with the iconic Supreme box logo. Fans began lining up hours in advance in hopes of being among the first to partake in the launch. Unlike previous releases, the launch not only attracted the usual crowd of brand enthusiasts but fans of the Dragon Maid anime as well. Supreme collectors and so called “hypebeasts” found themselves beaten to the punch as anime fans began lining up hours before others had even arrived. “I’m not sure what this Supreme thing is but once I heard from my Discord group that there were going to be Kanna shirts I knew I had to get down here,” another young man near the beginning of the line told our correspondent. Others in line did not provide such positive feedback, feeling cheated by the sudden influx of anime fans that had taken over the front portion of the line. When the door finally opened, all merchandise was reportedly sold out within 15 minutes. Those who had been lucky enough to make a purchase were last seen heading towards the Los Angeles Convention Center to begin saving their spot for Anime Expo. That’s a joke. Cheer up! Yer at parody website, not a serious Supreme brand website. I actually got excited until I realized that this is fake because Supreme’s FW season is over so they couldn’t have made a collaboration.